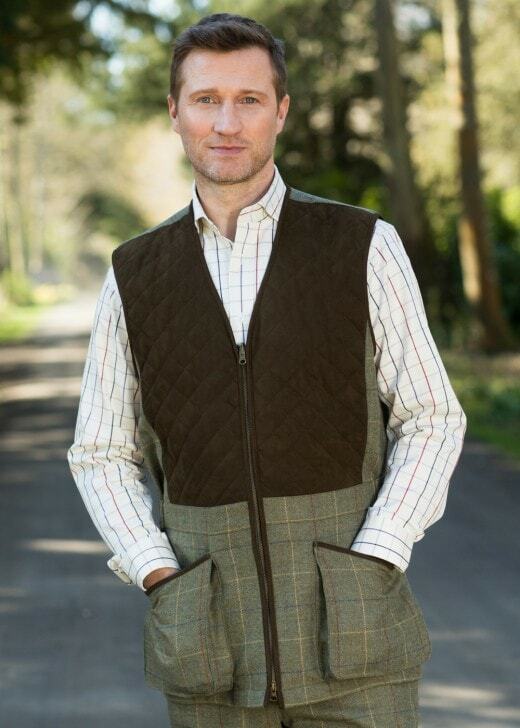 Laksen's Glenogil Shooting Vest is beautifully made from 100% tweed making it warm and durable. The Shooting Vest can be paired with the Wingfield coat for a day in the field. Laksen's Glenogil Shooting Vest is beautifully made from 100% tweed making it warm and durable. The Shooting Vest can be paired with the Wingfield coat for a day in the field. The ultimate combination of comfort and durability, this tweed vest is designed with a polyester lining which is highly moisture wicking for a comfortable wear. This highly functional waistcoat has a multitude of compartments and pockets perfect for storage whilst out in the field.